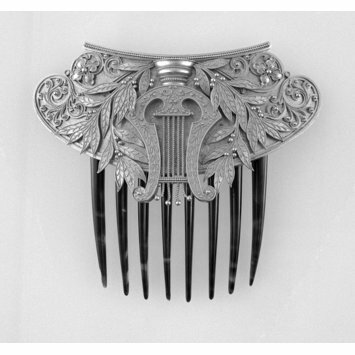 In Victorian times, hair pins were an essential part of every woman’s attire. 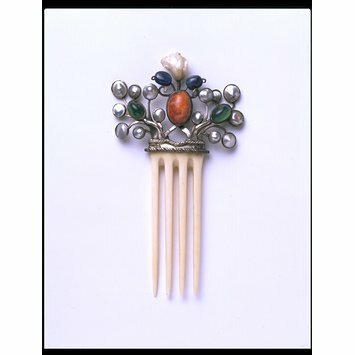 Respectable women over the age of 15 or 16 were expected to wear their hair up and hair pins were a useful tool as well as desirable ornamentation. Hairpins continued to be worn throughout the Edwardian era but fell out of favour with the shorter hairstyles of the 1920s. 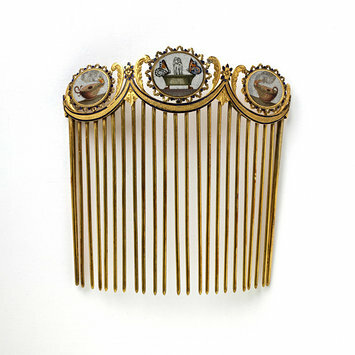 However, just as many women have continued to wear their hair long, hair pins have continued to be worn to this day. A simplified version of the hair pin is still worn today although often only as a way of holding thick hair in place (for example when worn to hold a chignon) and not as a decoration in itself. Today’s most common incarnation of the hair pin is the everyday ‘bobby pin’ or ‘hair grip’. Traditionally, hair pins came in matching pairs and could be worn in a variety of ways – horizontally, vertically or at an angle. They could be worn alone or as part of more elaborate ornamentation. Simpler ones were worn by day whilst evening hair ornamentation could be highly decorative. One point hair pins. Currently for sale at Elder and Bloom. 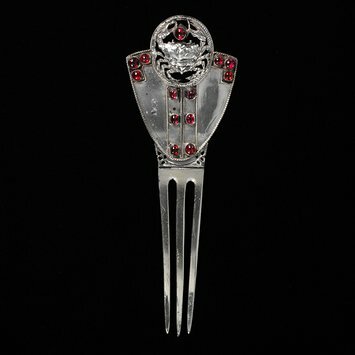 During the Renaissance period a type of one stick hairpin known as a ‘Bodkin’ was worn by the wealthier classes. It was made of precious metals and was often embellished with diamonds and pearls and other gemstones. 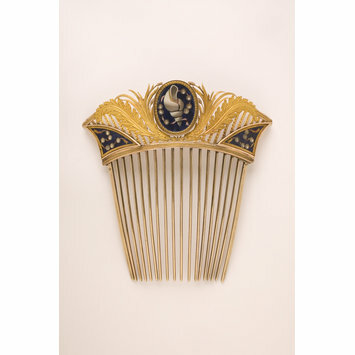 Hair combs were popular throughout every era but particularly in the Victorian era through the Art Nouveau era. In the Art Deco era, hair became shorter and hair clips and smaller hair ornaments were more often in style. 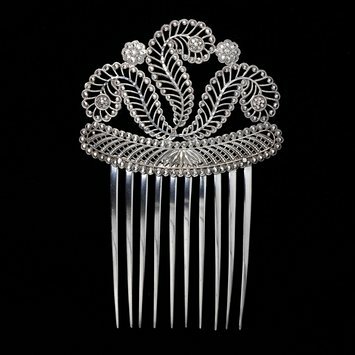 In this post, I am just going to give some examples of a few styles of hair-combs in pictures in order to get more familiar with them. 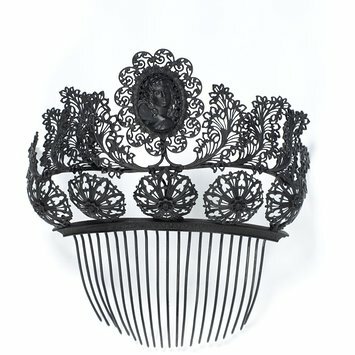 I will go into the specific styles of hair combs and how they were worn for each era more thoroughly in the future.